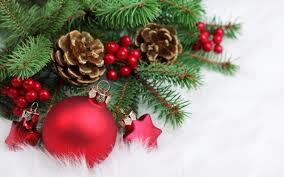 I would like to wish you all A Very Merry Christmas and a Happy New Year. Sparing a thought for those who are alone this Christmas, in danger, scared or without enough to eat. Much love Cathy & family. 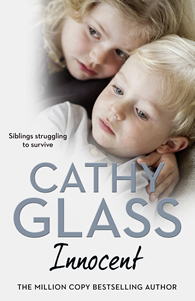 Nine weeks in the UK Top Ten for Where Has Mummy Gone. Thank you for all the wonderful reviews and kind comments. Eight weeks in the Top Five! Another Week in the UK Top Ten! Where Has Mummy Gone remains in the Top Ten bestseller charts for yet another week. Thank you for all your kind comments and reviews. Just heard from my publisher that Where Has Mummy Gone remains in the UK Top Ten Bestseller charts for another week. I am so pleased Melody’s story has reached so many. Thank you for all the wonderful comments and reviews. They are much appreciated. 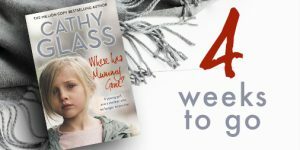 Where Has Mummy Gone remains in the UK bestseller charts for a fourth week. I have been really touched by all the wonderful comments and reviews. Thank you. Just heard from my publisher that Where Has Mummy Gone remains in the UK bestseller charts at no 3 for yet another week. I am delighted Melody’s story has reached so many. Thanks again for all the wonderful reviews and comments. UK Top Ten for another week! No 3 in UK Top Ten! 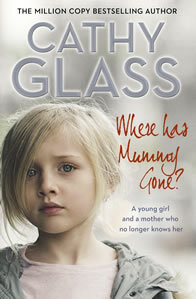 Just heard from my publisher that Where Has Mummy Gone has entered the UK bestseller charts at no 3. Fantastic. I am so pleased Melody’s story has reached so many. Thank you for all the wonderful reviews and comments. They are much appreciated. 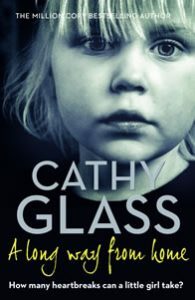 I am very pleased to announce that my new fostering memoir Where Has Mummy Gone? is out now, worldwide. It is available from the usual stockists in paperback, audio and e-book. 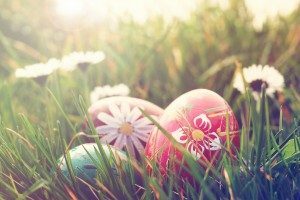 I hope you enjoy Melody’s story. For those who like to download my e-books in 3 parts, part 1 of Where Has Mummy Gone is out now: http://po.st/WHMG-Part1 The full book – paperback, audio and e-book will be out 6 September and can be pre-ordered. Thank you. Restores your faith in human nature. Well done ladies, and well done Brodie – that took courage to set off alone. Thank goodness the boys and their coach are out safely out of the cave where they have been trapped for nearly three weeks. 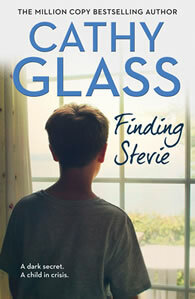 As you know I am writing crime thrillers, using the pen name Lisa Stone, as well as my fostering memoirs. I was delighted that so many loved The Darkness Within. Canada will be 14th August and USA 25th September. I’ll post more details nearer the time. 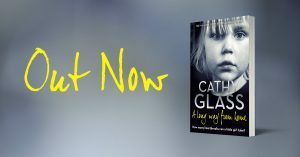 A Long Way From Home remains in the UK Top Ten bestseller charts for yet another week! 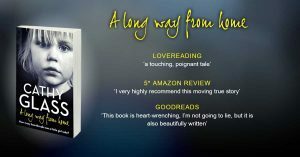 http://amzn.to/2y74vBB I am so pleased that Anna’s story has touched so many. Thank you for all the wonderful comments and reviews. I am just putting the finishing touches to my next memoir Where Has Mummy Gone. http://amzn.to/2FEVAMz It will be out in September. 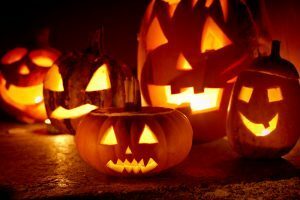 In the meantime if you haven’t already read it you may like my crime novel, The Darkness Within, which I have written under the pen name Lisa Stone, and has received many excellent reviews. http://amzn.to/2p2dJbH Thanks again. Fantastic that Anna’s story has reached so many. A Long Way From Home remains in the Top Ten for yet another week. 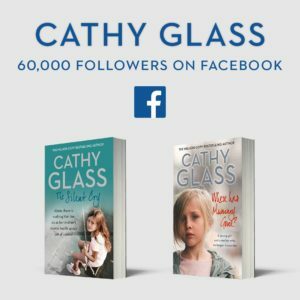 Six weeks in UK Top Ten! 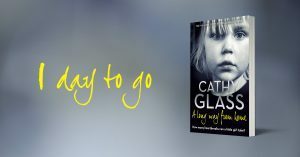 I am delighted to say A Long Way From Home is in the UK paperback charts for yet another week. Thank you for all the wonderful comments and reviews. Five weeks in UK Top Ten! 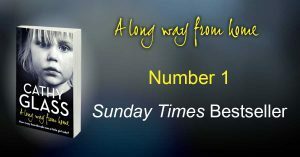 Just heard from my publisher that A Long Way From Home remains in the UK Top Ten bestseller charts for yet another week. Thank you for all the lovely reviews. My apologies again to those countries where the paperback has been delayed. Four weeks in UK Top Ten! Saddened to hear of the passing of Stephen Hawking. A great man whose legacy will live forever. I am delighted to announce that A Long Way From Home is at No 2 in the UK paperback charts. Fantastic that Anna’s story has reached so many. I’m sorry the paperback for A Long Way From Home has been delayed in some countries. Here are the revised dates: USA & Canada, the e-book and audio is available now. The paperback will be with you on 15th May and is available to pre-order. Australia and New Zealand, the e-book and audio is with you now and the paperback will be available on 12th March. All other countries including the UK all versions are out now. If you have enjoyed one of my books I’d be grateful if you could leave a short review on Amazon, Lovereading, Goodreads or similar. Thank you. I’ve just heard from my publisher that A Long Way From Home has gone straight into the UK bestseller charts at no 1. Fantastic news. Thanks for all your wonderful comments and reviews. Happy to announce this special offer for Kindle readers in America Girl Alone. The excitement builds. 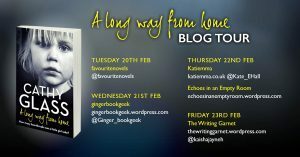 A blog tour for A Long Way From Home starts today on Twitter. Thank you for your emails. I now have the following overseas publication dates for A Long Way From Home. US: e book and audio is 22nd Feb, paperback will be 15th May. Canada 3rd April for paperback, e-book and audio. Australia, New Zealand, India, Malaysia and elsewhere are the same as the UK: 22nd February. A Long Way From Home will be out on 22nd February in paperback, e-book and Audio. Part 3-ebook only 22 Feb. Very happy to say that my self-help guides Happy Kids, and Happy Adults are going to be translated into Turkish. More translations on the way soon.